Riding the wave of Marvel Studio’s groundbreaking blockbuster Black Panther, the creators Dr. Firyali Richmond, Keithan Jones of KID Comics and the Malcolm X Library Black Comix Day, the World Beat Center, QABPROSERV.COM and The Broker’s Building Gallery brings an exclusive AfroFuturist programming block for the spring and summer seasons. 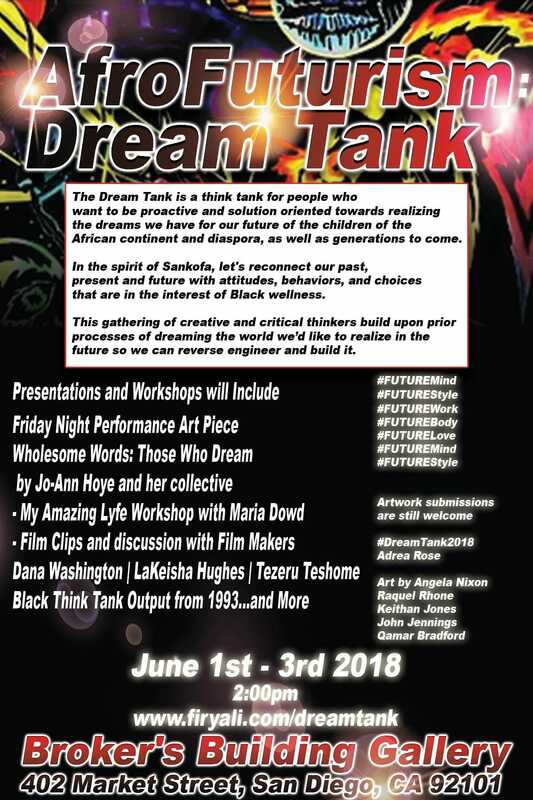 This spring in May at Broker’s Building in the Gaslamp District will be held the AfroFuturism: #DreamTank2018. With an assembly of Pan African visionaries we’ll orchestrate a brainstorm of where we see ourselves in the near and distant futures. Exploring technology, sociology, design and art we’ll compile a series of presentations in an effort to realize an Afrotopia that will enrich ourselves with beauty, prosperity and hope as well as the world. 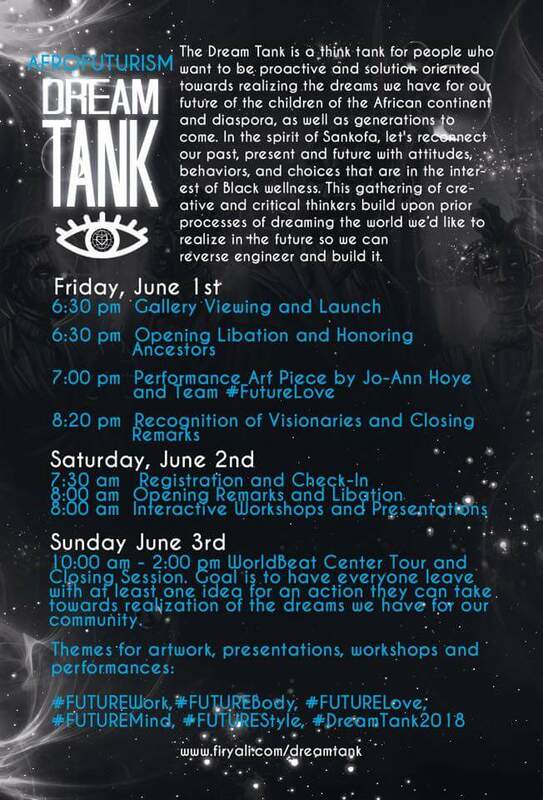 Then following in the summer, coinciding with San Diego International Comic Con, we’ll host a AfroFuturism Lounge open to vendors and attendees to see the newest creations of the African Diaspora and to participate in activities like Cosplay contests, awards, etc. Please contact info@firyali.com or director@qabproserv.com for more info on registration, participation and fees.